Ardell has done it again. 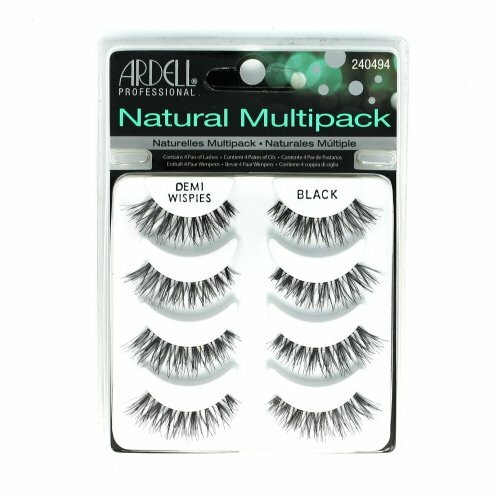 Try the Ardell Natural Multipack Black Demi Wispie Lashes to experience the bestselling false lashes. Accessorize your eyes, instantly get beautiful lush lashes with easy to use Ardell Natural Lashes Demi Wispies Black. Available in a variety of colors and styles, you can change your look in a snap. Ardell Natural Lashes Demi Wispies Black are the fastest way to have long, luscious eyelashes. Includes a reusable box for storage when not being worn. Check fit: Align band with natural lash line to check fit. Trim excess if necessary. Apply adhesive: Apply a thin line of adhesive along band. Wait 30 seconds to set. To remove, Gently peel off lash strip starting at outer corner. Remove used adhesive from band and place lashes back into tray for reuse.